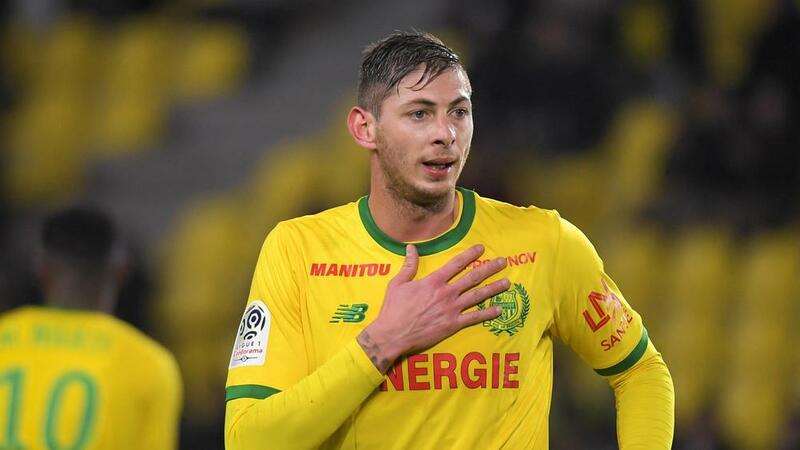 Cardiff City have confirmed the arrival of striker Emiliano Sala for a club-record fee from Nantes. The Argentinian joins on a three-and-a-half-year deal after Cardiff paid the Ligue 1 side a reported £15million. Sala further boosts Cardiff's attacking options after Oumar Niasse joined on loan from Everton this week. And the 28-year-old is keen to get started at his new club, having scored 12 Ligue 1 goals for Nantes in 2018-19. "I'm very happy to be here," he told the club's website. "It gives me great pleasure and I can't wait to start training, meet my new team-mates and get down to work. "For me it feels special [to be Cardiff's record signing]. I have come here wanting to work and to help my team-mates and the club. Cardiff slipped into the Premier League's relegation zone on Saturday after a 3-0 loss at Newcastle United. The Bluebirds have scored just once in their last six games in all competitions with makeshift forward Callum Paterson their top Premier League scorer on four goals.